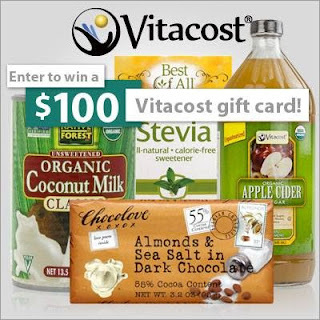 Want to win $100 to use at VitaCost? They have some of the BEST deals on such a wide variety of products! MUCH better prices than most in store prices-- even with coupons. Sign up now to get $10 off of your first order! SIGN UP HERE!!!! Save up to 50% Everyday at Vitacost.com! Click Here! Enter below to win a $100 gift card to Vitacost!!! !